Here at FixMyKite.com, we are dedicated to the enjoyment of kitesurfing at every level. Our location affords us the ability to ride nearly every day of the year. Since we are rider owned and operated our dedication to the development of the sport is truly apparent. We work closely with many manufacturers of kite equipment and accessories to develop our sport in a safe and performance oriented manner. 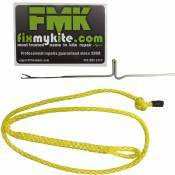 FixMyKite.com is operated by Prokitesurf. 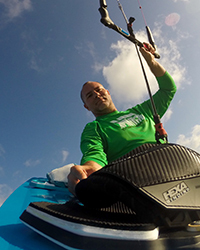 Born out of a small kite production operation started by Jeff Howard, FixMyKite.com and Prokitesurf has progressed into a full service repair and warranty center. For this reason we are able to customize your existing gear to your specifications. So join us in this sport we all love and get out and ride! 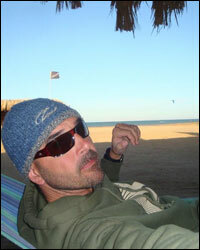 Richard has been repairing kites for over 9 years now and fits right in with team at fixmykite.com. His sense of humor is a welcome addition to the team. His ambition to get better and better at repairs and modifying and manufacturing kites and kite parts are what fuels his riding desires. 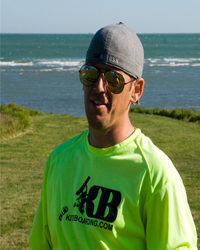 Brant has been flying kites professionally for 13 years. His “unique” personality and skill set make him an invaluable asset to the FixMyKite.com team. He also has his hands dirty with every facet of our day to day operation. Best riding experience: Atlantic coast sunset ride with friends. 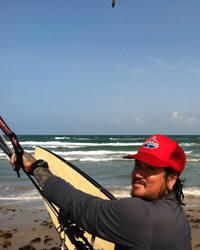 Joey has been kiteboarding for over 15 years now and fits right in with the team at fixmykite.com. He joins us after a 26 year career in the US Navy and his can do attitude and dedication are a welcome addition to the team. Worst riding experience: Deathloop to belly drag into weeds. Dislikes: Politics, Liars, and Cheaters. Basically politicians. Why you kite: The ultimate combination of wind surf and fun!